The Goods shall mean: Gowns,Dresses and or accessories to be purchased or altered. paying for all the goods. 1.1 The buyer will need to pay for the goods in pounds sterling via Bank transfer, debit/credit card, cash or cheque. 1.2 All the goods remain the property of Sophie Grace Bridal until paid for in full with cleared funds. 1.4 Reduced goods sold as “Sale”or “Used sample” maybe soiled and/or damaged. The buyer should examine the goods before leaving the premises as any specified faults or a change of mind by the buyer will not constitute grounds for a refund . Sample sale gowns are non refundable and sold as seen. 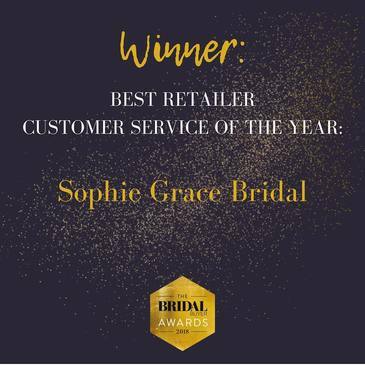 2.1 Delivery timescales for the manufacturers and /or Designers used by Sophie Grace Bridal are as follows: Bridal gowns up to 6 months, accessories normally between 4-8 weeks. It is possible for some of our designers to provide a rush order, under 12 weeks, by prior agreement with your chosen designer. There is normally a charge for this service, which will be added to your gown cost. 2.2 Whilst Sophie Grace Bridal will use all reasonable endeavors to execute each order within the timescales above, Sophie Grace Bridal shall not be liable for any delay/non delivery of goods by the manufacturer or designers due to unforeseen circumstances. 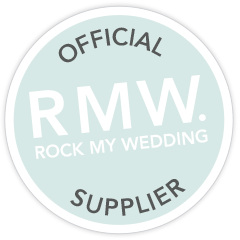 2.3 The buyer shall inspect the goods upon receipt and shall notify Sophie Grace Bridal if the goods are damaged. If the buyer fails to do so she/he shall be deemed to have accepted the goods. 2.4 Damage/soiling to a wedding gown after goods have been accepted remains the buyers responsibility. 3.1 It is extremely rare that a gown will not need alteration. Unless otherwise stipulated our gowns/dresses are not made to measure. 3.2 Sophie Grace Bridal will order the nearest standard size from the manufacturer/ designer on your behalf, based on your measurements and compared to the official manufacturers/designers size chart. The size to be ordered will be discussed with you at the time of ordering. 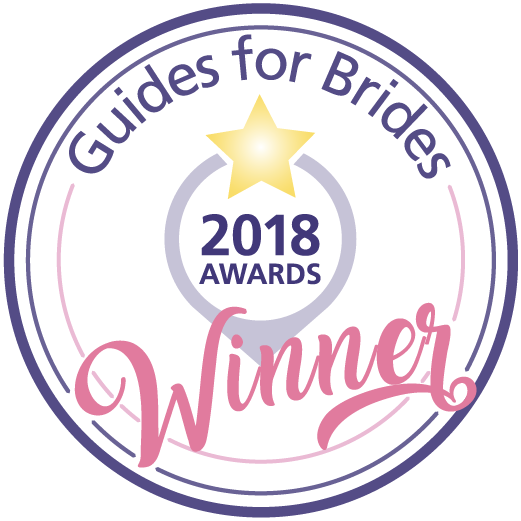 The staff at Sophie Grace Bridal will give you advice/recommendations, however, the final choice of size ordered will be yours. 3.3 In order to fit your gown satisfactorily, where a split size, pattern change or design alteration and skirt lengthening is required there will be a charge direct from the designer which is to be paid by the buyer at the time of ordering. This cost is totally dependent on the work involved. 3.4 Once the gown/dress arrives it can be altered to fit the individual figure, alterations are an additional cost and charged separately. Alterations can be arranged on site at our premises or directly at an independent seamstress's premises if you prefer. 3.5 In the event that you significantly loose or gain weight, and your gown/dress requires greater work, this alteration will be charged to you after your first fitting. 3.7 You will need to bring your chosen bridal underwear and shoes to ALL fittings, we cannot conduct any alterations, preparations without these as they affect the fit of your gown. 3.8 It is the buyers responsibility to inspect the goods before leaving the premises. Sophie Grace Bridal cannot accept liability of any loss or damage to the the goods after they have left the premises. vi) The £200 off selected gowns applies to sample gowns in store only that have had their swing ticket hole punched to indicate they are included in this offer. These gowns are NOT part of our ‘Off The Peg’ range and therefore are not included in the 50% deal. vi) Prize will be drawn at close of business 31st March 2019. The winner will be contacted via email with 7 days. If we are not contacted within 7 days following this Sophie Grace Bridal reserves the right to draw another winner.